Texan Mauricio Vidaurri fears he will soon lose his father—again. 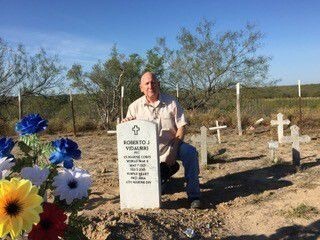 The elder Vidaurri, a World War II veteran, is buried in a 200-year-old cemetery on his 1,300-acre La Laja Ranch, which was passed down to Mauricio and his seven siblings. The Zapata County property has been in their family since the late 18th century. It was issued through a Spanish land grant before the United States of America declared its independence. But now the younger Vidaurri worries that a portion of the property, which lies along what is now the U.S.-Mexico border, will be seized by the federal government to make way for the wall championed by President Donald Trump. And he will be forced to surrender the graves of generations of his forebears. Trump hasn’t signaled whether he’ll sign the latest bill, which funds only 55 miles of fencing along the border in the valley. He had wanted 215 miles. 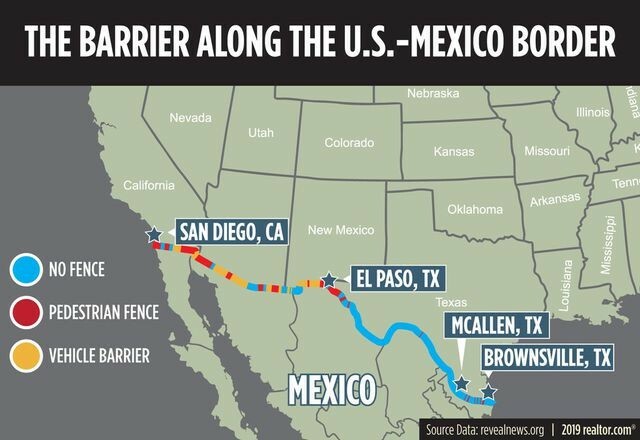 Currently, only about a third of the 2,000-mile U.S.-Mexico boundary is fenced or walled, or has barriers in place. It’s typically in the most populated areas in California, Arizona, and New Mexico. Much of that land is government-owned, so there was no need to invoke eminent domain to seize it. But in Texas, where most of the border property is privately owned, the Rio Grande has served as a natural border and deterrent. The last big round of border fencing, part of President George W. Bush‘s Secure Fence Act of 2006, triggered hundreds of lawsuits in Texas, dozens of which are still in the courts. The court challenges are likely to multiply even further if the president bypasses Congress and declares a national emergency to get the wall built. A particularly contentious battlefield could be the 62 miles of a Native American reservation along the Arizona border. It’s not clear if the president could seize that property without congressional approval. And it’s unlikely that a Democrat-controlled House of Representatives would approve the emergency taking of that land. Of course, not all lawmakers believe the wall is necessary. The only Republican member of Congress along the border, Rep. Will Hurd, called the proposed barriers a “third-century solution to a 21st-century problem.” All nine members of Congress serving the districts along the border oppose its construction. Mauricio Vidaurri fears the federal government will seize his family land along the U.S.-Mexico border. Residents such as Vidaurri aren’t interested in political squabbling. For them, the barrier is personal. “We’ll lose our history that goes back almost 300 years. … That’s painful,” says Vidaurri, 60. He lives in Laredo, TX, about 22 miles from the family land. But he visits his 140 acres of the ranch at least twice a week to check on the graves of four generations of his family. The land is currently used for hay production, hunting, and natural gas drilling. This doesn’t mean that Vidaurri and his family would lose all of their property on the Mexican side of the wall. They would cede the land under and around the wall—which in Vidaurri’s case would likely include the family cemetery. Under the Secure Fence Act, gates were erected that landowners whose property straddled the border could open with a code. But many property owners don’t feel safe having such gates. Landowners aren’t likely to win a David-and-Goliath-style battle with the federal government. But they may be able to successfully challenge the amount of real estate they ultimately cede, says Jim Burling, an eminent domain attorney at the Pacific Legal Foundation in Sacramento. They can also push back against very low offers—in effect, driving up the price tag for the wall. “Local, state, and federal agencies are notorious for trying to pay as little as possible for properties they take,” says Burling. About a decade ago, the government took less than 10 acres of Tudor Uhlhorn‘s property along the border to put up fencing. But it lowballed him, so he went to an attorney and received a larger settlement. That’s typical. Of the 334 eminent domain lawsuits filed in the southern part of Texas during the George W. Bush years, about 70 cases are still in court, according to the Washington Post. Most of those lawsuits revolve around money. And property owners with attorneys received about triple what they were initially offered, according to ProPublica and Texas Tribune. “Everybody needs to have an attorney that knows what he’s doing,” says Uhlhorn, the commissioner of the city of Harlingen, TX. The Tohono O’odham Nation, which has 62 miles along the border on their Native American reservation in Southern Arizona, already has its attorneys in place. “The land on the U.S.-Mexico border is precious, sacred land. This land is not for sale,” says Verlon Jose, vice chairman of the Tohono O’odham Nation. But even as the question of funding remains unresolved, the government is gearing up to take private property from scores of homeowners. The federal government is planning to survey Nayda Alvarez’s land, a preliminary step before seizing it. High school speech teacher Nayda Alvarez, 47, received a letter from U.S. Customs and Border Protection in January stating the agency will be filing an action in federal court that will allow it to access her property on the outskirts of Rio Grande City, TX, for 12 months to conduct “necessary” surveys. It’s one of the first steps toward an eminent domain seizure. These are very real issues along the boundary of the two countries. About a year ago, drug smugglers abandoned a car on Alvarez’s property as they were pursued by border control. (They didn’t cross into the U.S. through her property.) The vehicle was removed before she came home from work. But Alvarez still feels safe in her four-bedroom, two-bathroom home, where she had planned to retire. She scrimped and saved to build it 12 years ago, and now is afraid the government will take it away. Last year, the Army Corps of Engineers attempted to lease part of her grandfather’s property, next door, for four years for a grand total of $750. She refused. “I’m a born U.S. citizen, and I don’t feel like it’s right for someone to take away what is mine,” says Alvarez. Will a wall save—or sink—struggling border towns? With the exception of San Diego, about 30 miles north of Mexico, border towns tend to be sparsely populated and lack good jobs. The border cities of McAllen and Brownsville in Texas, about an hour apart, are two of the poorest cities in the nation. Both already have some fencing along the U.S.-Mexico line. In the 80 U.S-Mexico border ZIP codes, median home prices are about a third lower than the rest of the nation, at just $195,282 as of December 2018, according to a realtor.com® analysis. And annually, homes aren’t appreciating nearly as much as those in the rest of the country—2.3% compared with 7.1% nationally. “Once those problems are pushed out of those areas, it raises the property values,” says Tom Fullerton, an economics professor at the University of Texas at El Paso, who specializes in border economies. “It’s going to be viewed as a safety [protection],” adds Sue Ann Taubert, a Texas real estate broker and president of the Harlingen Board of Realtors. While a wall may not be a scenic sight, it’s not likely to affect too many folks on a day-to-day basis. The areas where it would be built tend to be fairly rural. And in the short term, construction of the wall could create an employment boom for nearby towns and cities. Although most new workers would likely be temporary, they would still be spending money locally, including on housing. But the economic picture is complicated on the border. Communities often have large sister cities on the Mexican side, and locals go back and forth between them frequently. Those economies tend to be closely intertwined. It could also affect U.S. businesses that have workers, plants, and warehouses in Mexico as well as the Rio Grande Valley’s emerging eco-tourism sector. A wall would cut through the National Butterfly Center in Mission, TX, and the 2,088-acre Santa Ana National Wildlife Refuge in Alamo, TX. Congress previously spared the refuge, a popular destination for bird-watching, from division by a barrier. 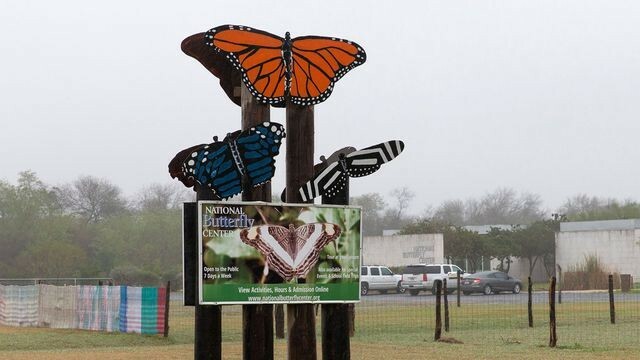 The National Butterfly Center is expected to be plowed over to clear the way for President Donald Trump’s border wall after the U.S. Supreme Court rebuffed a challenge by environmental groups. 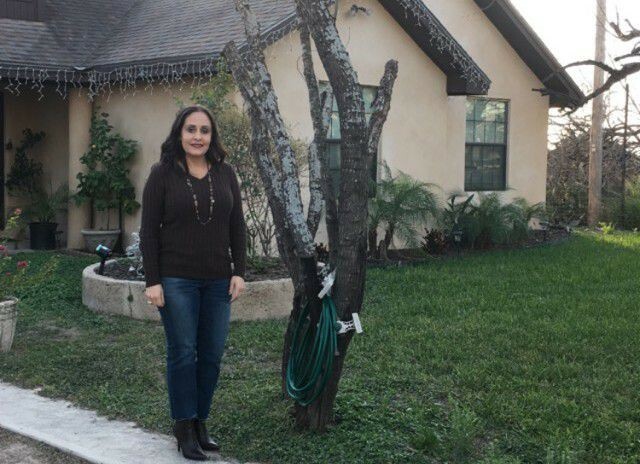 Already talk of the wall, and the weaker peso, has deterred Mexican nationals buying homes in the Rio Grande Valley, says McAllen, TX–based real estate broker Rene Galvan, of RGV Realty. Many are selling the vacation homes they already own on the American side—for a loss.